snips snippets: Blogger's Quilt Festival Applique Category. - pretty original post title eh? Blogger's Quilt Festival Applique Category. - pretty original post title eh? This is the quilt that started it all. I made it two years ago for my first son's first birthday. And i sleep with it every night... i mean he sleeps with it every night, yeah, he sleeps with it. Okay i sleep with it, but in my defense it's way to big for his bed. And i have made him a smaller toddler bed sized quilt for the time being. When i decided that i wanted to make a quilt for my son i had no quilting experience what so ever. I had made clothes for myself and that was the extent of my sewing abilities. And as for my fabric stash... non existent, which now seems highly impossible. I found a scrap pack of Heather Ross prints on Etsy and that was my jumping off point. Then i hit my LQS and bulked up with prints that i liked and started cutting... no plan, other than wanting to make a ticker tape quilt. I had seen a few smaller ones on Flickr and thought that it looked pretty easy, just cut and sew right? Man was i wrong. I agonized over where every little piece of fabric was going to go. I had no idea what QAYG was, so my plan of attack was to hang up a twin sheet and just pin the scraps to it. Much to my mom's dismay i picked the doorway between her living and dining room as the perfect place to leave this project while i worked on it. It lived there for about a month, while i moved pieces around until i was happy with the layout. Once i was happy with the arrangement i basted it onto a queen size sheet in the same colour (original, i know) and started to sew around each, little, block. After making my way around maybe three blocks, the straight pins i was using to keep the tickers down had to go. Enter a couple of washable school glue sticks. So one by one all the pins came out, the tickers were glued down and i began sewing around again. No fancy sewing machine here people... just my old, non computerized Kenmore. About three more tickers in and i knew there was no way i could keep stuffing this quilt through the tiny throat of my little old Ken. So i thought, Maybe i could sew all of the vertical sides of each ticker first, then go back and sew all of the horizontal's. So that's what i did. I'm not sure that it saved any time, but it was a whole lot easier than going round and round. I love the crinkly quilting and the softness of the frayed edges, and in all honesty if i hadn't embroidered my little guy's name on it i would seriously consider keeping it for me... is that wrong? Probably not going to get me that mother of the year award! 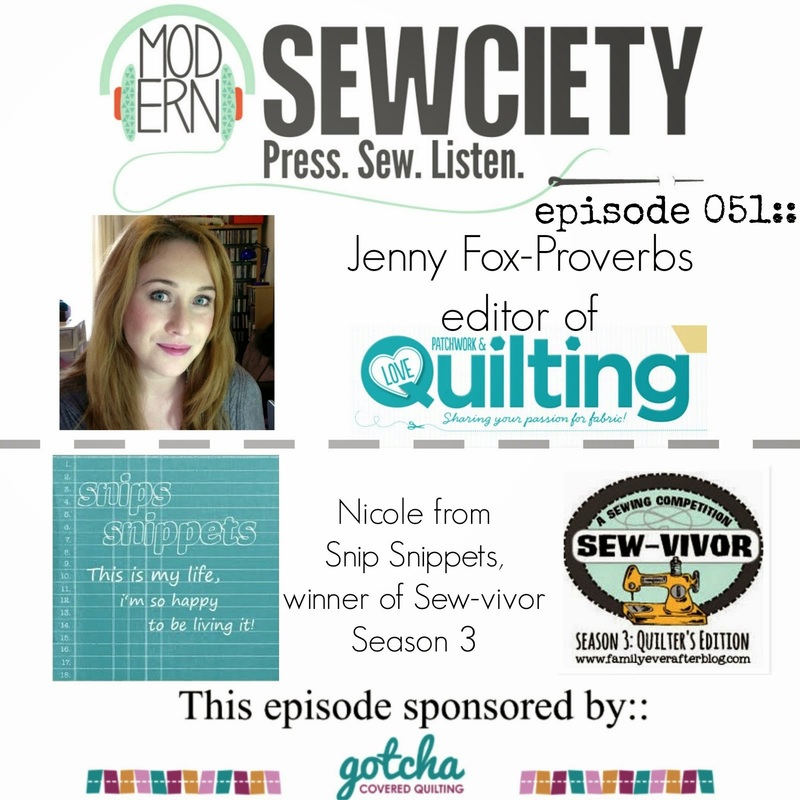 No fancy thread was used in the making of this quilt, (i had no idea what Aurifil was). Probably Gutermann. And in a shade that matched the backing. of this print left for hoarding reasons, which is good, i didn't quite understand at the time how to bind a quilt. And ended up attaching it the way you would a bias tape. So it's a single layer and probably not going to last as long as my current bindings, live and learn right?! Quilted - by me on my little old Ken. Um... i guess that's it. 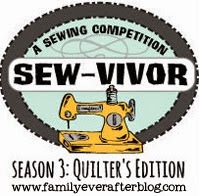 So, entering in the Applique Category in the Spring 2013 Blogger's Quilt Festival. Thanks for popping by and be sure to head over to Amy's Creative Side and check out the rest of the entries. love your ticker tape quilt! It's amazing how much we learn as we go, right? I love the story of your learning process ;) I just got "Tile Quilt Revival" in the mail last week (very similar to what you've done here, but you turn under the applique instead of leaving the edges raw). I might have to steal your trick of sewing all in one direction for large pieces! So fun to see the quilt that started it all!! I love it!! What a cute quilt! Love all your little fabrics. And I would chose a glue stick over a pin any day! It turned out fantastic! Hurray for ticker tape quilts!